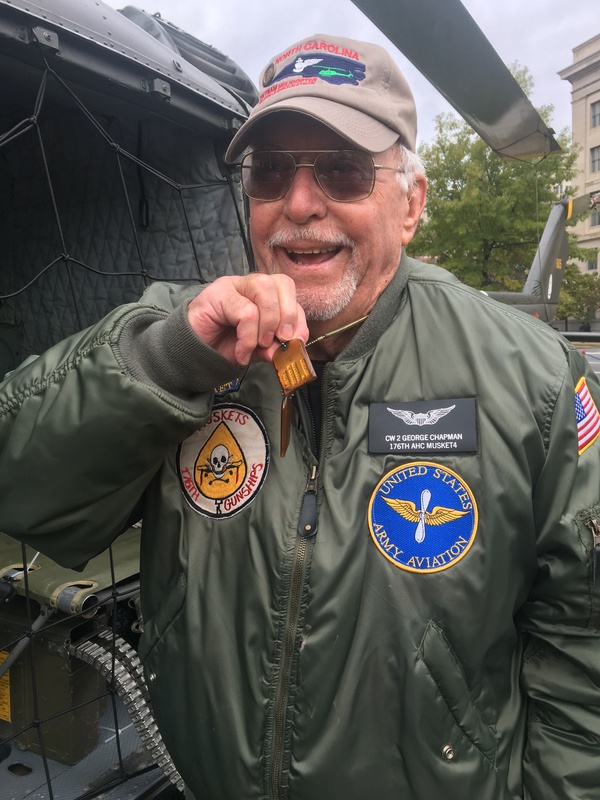 WASHINGTON, November 14, 2018 — When retired U.S. Army helicopter pilots George Chapman and Matthew McGuire heard about a Vietnam-era helicopter display this week on the National Archives lawn, they knew they had to visit Washington, DC, to see it. What made it especially inviting was the fact that one of the helicopters, the Bell UH-1M Iroquois, was the actual chopper they had flown into combat decades ago. 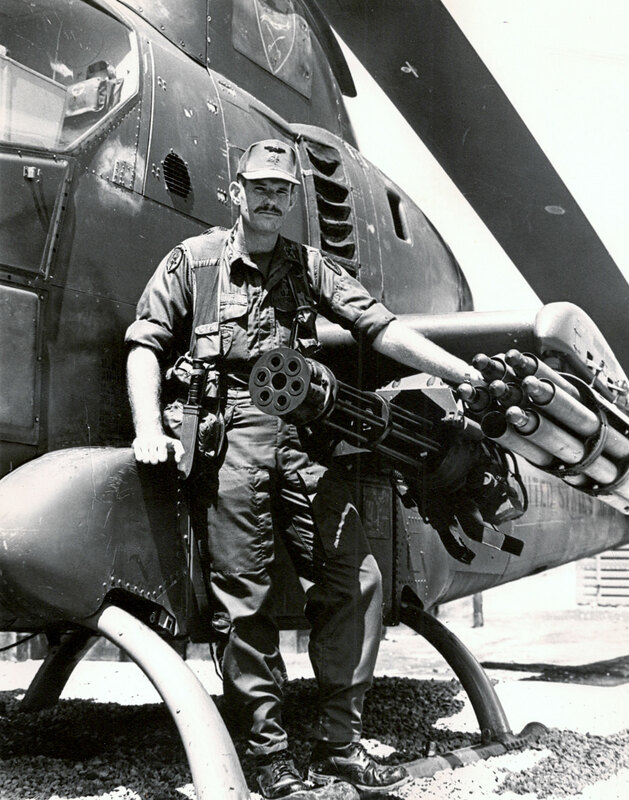 Chapman and McGuire flew several missions together with the U.S. Army’s 176th Assault Helicopter Company during the Vietnam War in 1967. That service cemented a life-long friendship bound by patriotism and service. 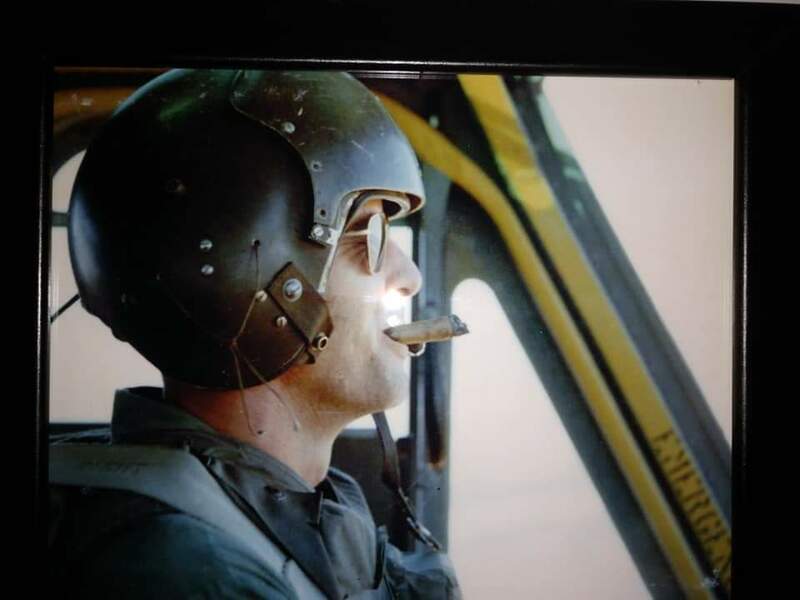 “He was often my wingman,” McGuire said of Chapman, as they shared detailed stories of missions, rescues, and service in a war that often divided the nation back home. McGuire told of a time when he was hit by gunfire. “I never thought I’d see my 26th birthday,” he said. He shared how a “chicken plate” he was wearing at the time saved his life, protecting his heart from a near miss, and of his walking away with bruises from military identification tags that were near the point of impact. Chapman said he was moved by being able to see the actual chopper he flew and share that with his family. Chapman’s visit to Washington, DC, from North Carolina—escorted by his wife, his son and daughter-in-law—included a visit to the Vietnam Veterans Memorial to honor those who did not survive. The Vietnam Veterans Memorial is a U.S. national monument wall honoring service members of the U.S. armed forces who fought in the Vietnam War. Names of those service members who died in service in Vietnam/Southeast Asia, and those service members who were unaccounted for during the war, are engraved on the Wall. 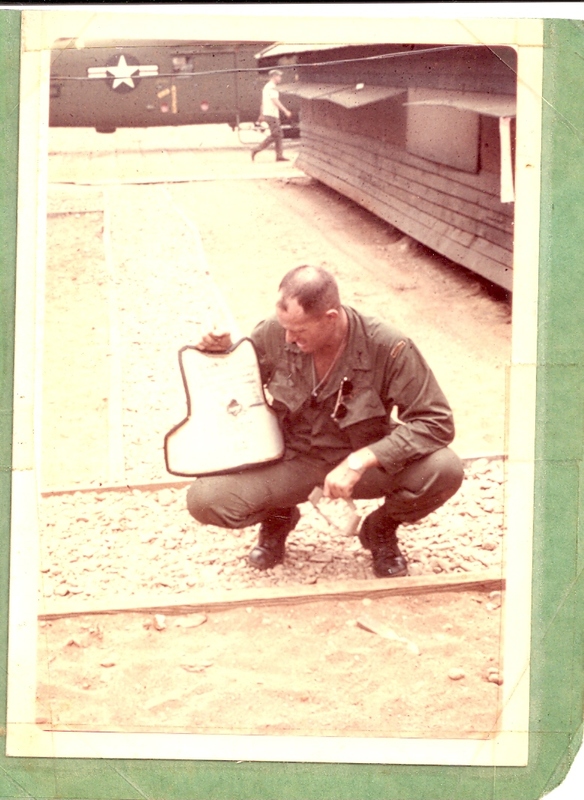 Chapman shared memories of the close camaraderie and bonds he shared with his fellow soldiers during the war and in the years afterward. He said that he still wears Jerry Clark’s bracelet as a remembrance of their friendship and memories of training together. As the Vietnam veterans shared stories of their days of military service and offered history lessons to many visitors of the outdoor helicopter exhibit—braving the drizzle and chill in the air—many visitors thanked and honored them for their service. 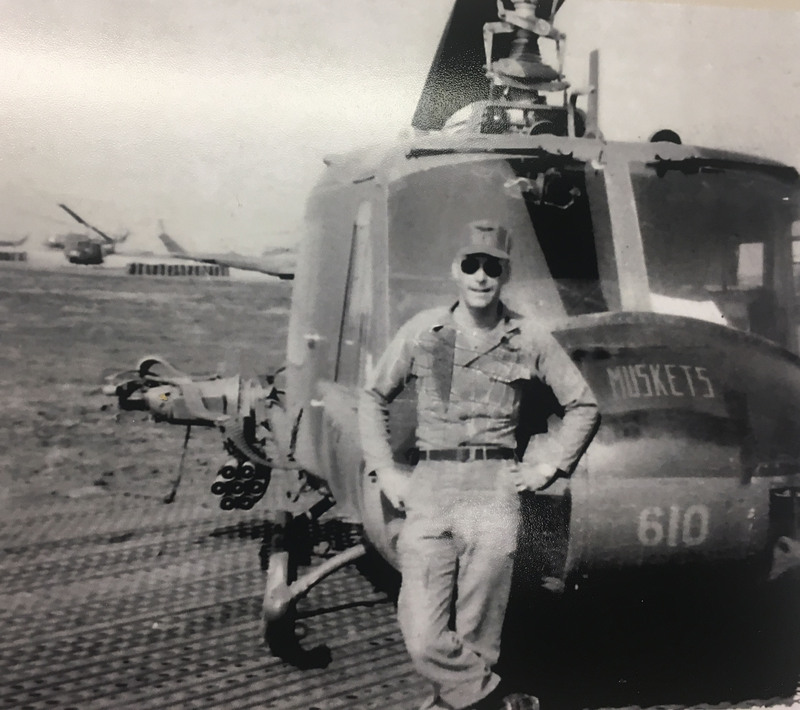 The three helicopters, provided by the North Carolina Vietnam Helicopter Pilots Association (VHPA)—in conjunction with the National Archives Foundation, The Lawrence F. O'Brien Family, and Bell Helicopter—will be on display through Friday, November 16, from 10 a.m. to 5:30 p.m. daily on the lawn of the National Archives in Washington, DC. Members of the VHPA will be on hand to share their stories of service in the Southeast Asia conflict and beyond. 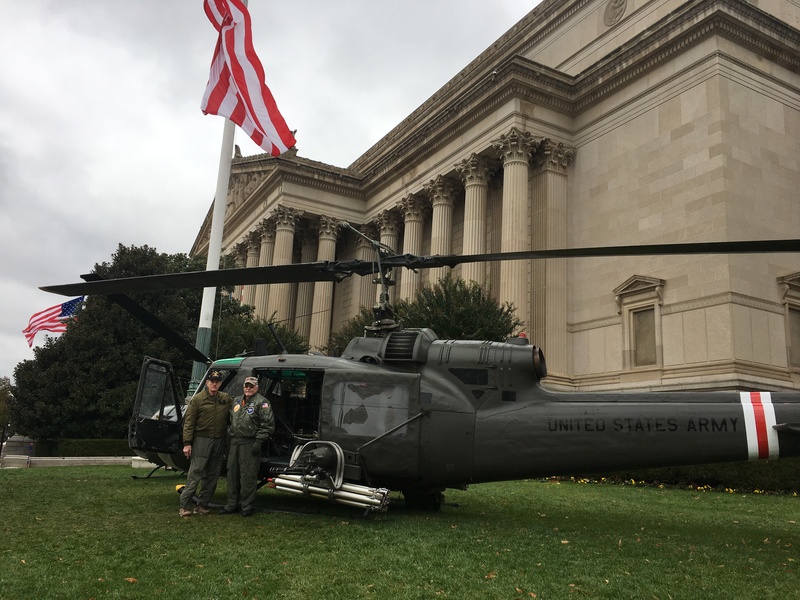 This is the second year the association has sent helicopters and pilots to the National Archives in honor of Veterans Day. Last year, they were on hand for the opening of “Remembering Vietnam: 12 Critical Episodes in the Vietnam War,” an exhibit in the National Archives Museum that presents both iconic and recently discovered National Archives records related to 12 critical episodes in the Vietnam War. That exhibit remains open daily from 10 a.m. to 5:30 p.m. through January 6, 2019. “Remembering Vietnam” was created by the exhibits staff in the National Archives Museum and presented in part by the Lawrence F. O’Brien Family, Pritzker Military Museum & Library, AARP, FedEx Corporation, and the National Archives Foundation. Additional support was provided by the Maris S. Cuneo Foundation, The Eliasberg Family Foundation, Inc., and HISTORY®. Admission is free for the “Remembering Vietnam” exhibit in the National Archives Museum and for the helicopter special event.